Keep watch. 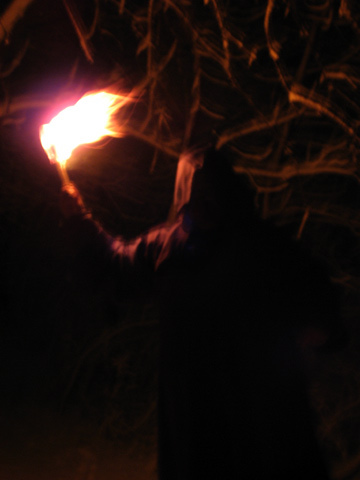 A monk carries a torch this snowy winter night. Infinite dreams, this one. A nightly ritual with sweet noise awaits. Blessed be this dawn of man. Will 2007 be kind to our kind?